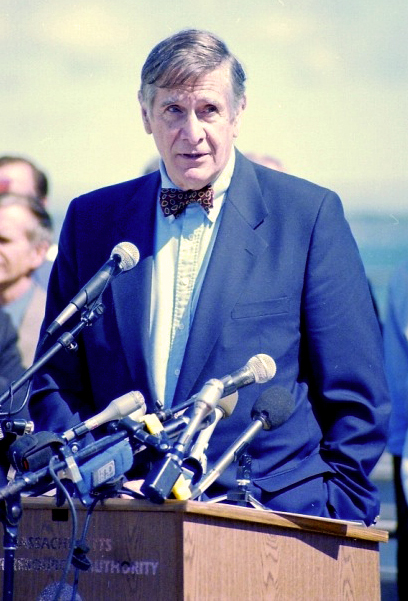 For 19 years, Judge A. David Mazzone presided over the federal lawsuit brought by conservationists and others condemning the state of Boston Harbor. 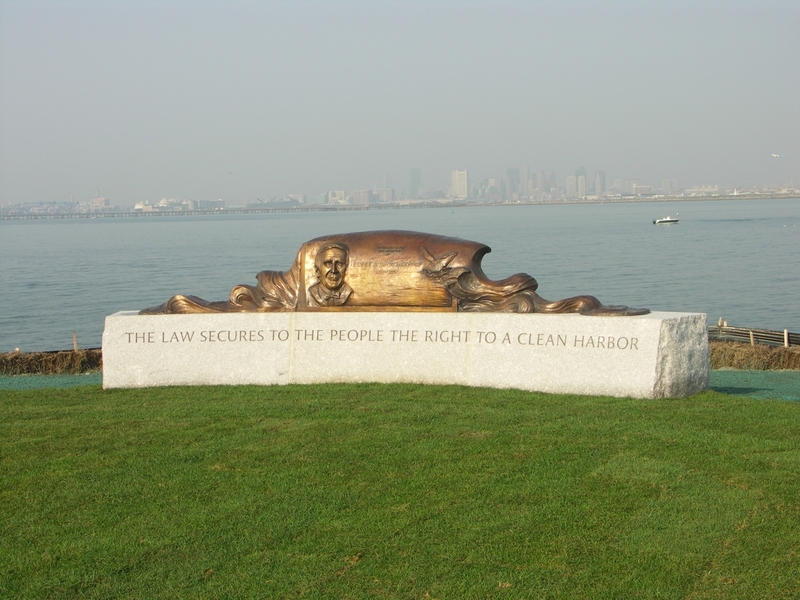 His landmark rulings led to a massive public works project to restore the Harbor as a spectacular natural resource. The Boston Harbor clean-up is recognized as one of the nation's greatest environmental success stories - a far cry from the Harbor's notoriety in the 1980s as "the filthiest harbor in America." After his passing, the MWRA Board of Directors voted to name the park land surrounding the new treatment plant after Judge Mazzone. A group of his friends and family then joined together to design a suitable monument to honor the Judge's legacy and raise the necessary funding to construct it. The memorial was dedicated on Friday, October 19, 2007. The memorial is comprised of granite installations and a bronze sculpture in the Judge's likeness. 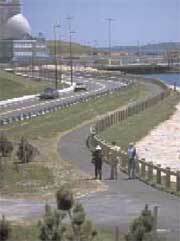 It is located near the entrance of the Deer Island Public Access area. The memorial was designed by landscape architects Polly Reeve and Margaret Coyle Nestler and local sculptor Joseph Pesce. Framed by water, sky and the city beyond, the stone circle provides a place to sit, gather and enjoy the scenery. At the beginning of the project, Judge Mazzone ruled that "the law secures to the people the right to a clean harbor." 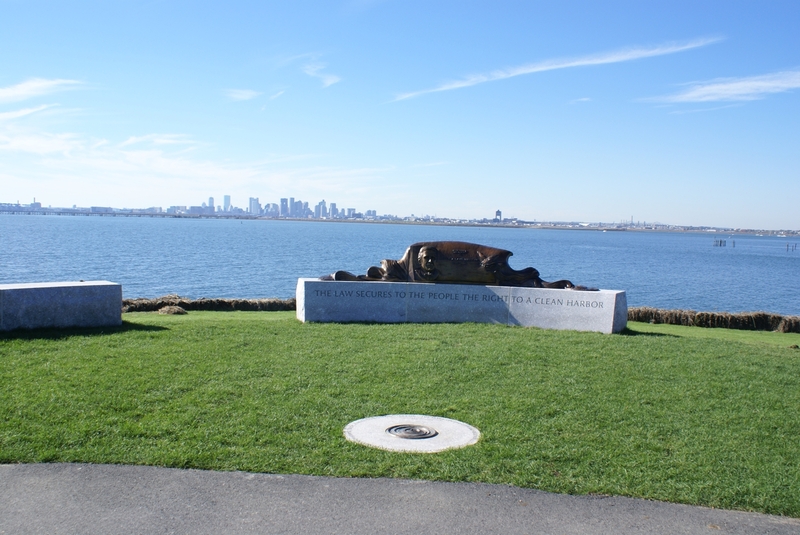 These words are now inscribed in granite and will remind those who walk, jog, bike, fish, or just enjoy the breathtaking views of the city and the sea at Deer Island - or anywhere around the harbor - of Judge Mazzone's role in the cleanup for generations to come. 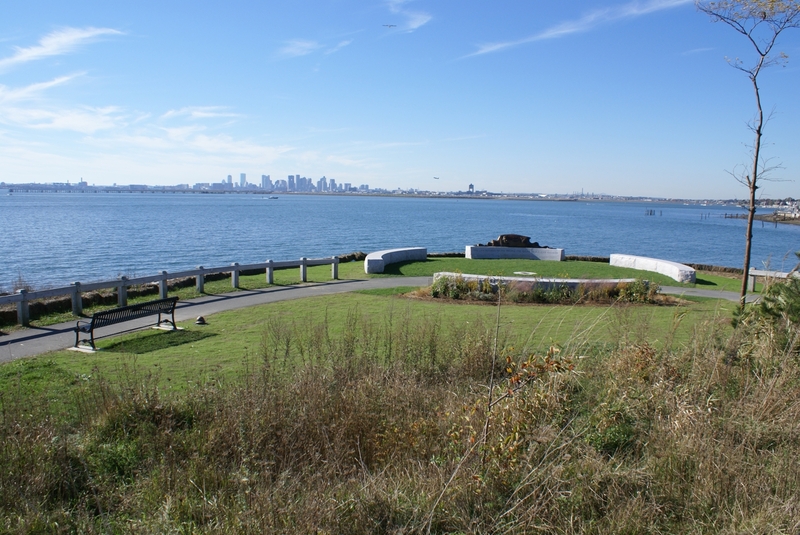 More information about visiting Deer Island, is available on our Deer Island Public Access page. 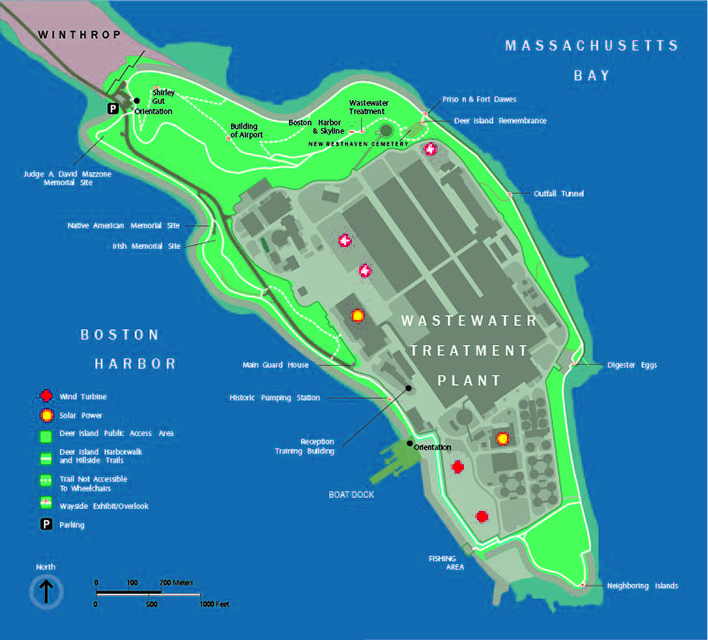 MWRAs Deer Island and Nut Island public access areas are part Boston Harbor Islands National Park Area, a diverse collection of 34 islands. More details on the park can be found at www.bostonislands.com.